Weezer has always been a band with surprises. From their groundbreaking music video for Buddy Holly to their recent hit cover of Toto’s “Africa”. They upped the ante yet again with a new surprise album release. 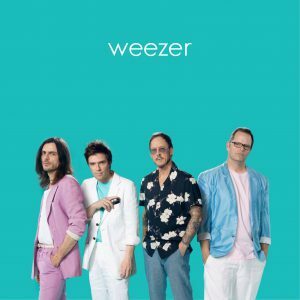 While Weezer fans await the release of the Black Album (which includes their latest single “Can’t Knock The Hustle), they now have a collection of Weezer covers including the band’s take on classics from TLC, Electric Light Orchestra, Tears For Fears, and Michael Jackson. You can stream the new collection here but if you want a physical version to play in your classic 1980s ride, you’ll have to visit the Weezer website.